The appeal of the world’s most stylish, luxury grand tourer is enhanced with the introduction of the new, sporting Continental GT V8 S. Available as both a coupe and convertible, the new GT V8 S models bring added excitement to the Continental range with lowered and retuned sports suspension, sharper steering, dramatic ‘S’ signature styling cues and a distinctive soundtrack from the uprated V8 engine. These two new models expand the Continental family and provide an even more engaging driving experience from Bentley’s already renowned 4-litre twin-turbo V8 powertrain. 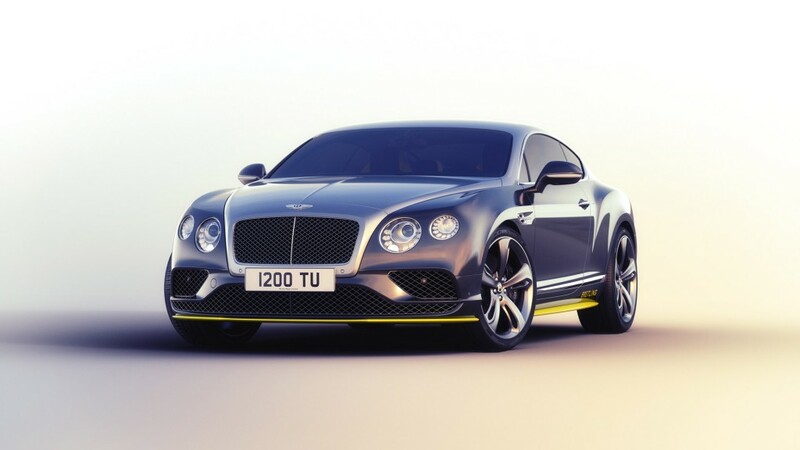 The new Continental GT V8 S Coupe and Convertible will be unveiled at the Frankfurt Show on 10th September, 2013. Building on the success of the acclaimed Continental GT V8, the new GT V8 S models feature a more powerful version of Bentley’s high-efficiency 4-litre, twin-turbo V8 engine developing 521 bhp (528 PS / 389 KW) at 6,000 rev/min and an immense peak torque of 680 Nm (502 lb.ft) at a mere 1,700 rev/min. Delivered via a close-ratio ZF 8-speed automatic transmission, the increased power provides effortless, exhilarating high performance with breath-taking acceleration and imperceptibly smooth power delivery. Switch into S mode via the gear selector and the V8 S rewards the spirited driver with a sharpened throttle response while gears are held for longer with faster shifts. The GT V8 S coupe dispatches the 0-60 mph sprint in just 4.3 seconds (0-100 km/h in 4.5s) onto a top speed of 192 mph (309 km/h). The performance of the GT V8 S convertible is equally impressive, reaching 60 mph from a standing start in 4.5 seconds (0-100km/h in 4.7s) and a top speed of 191mph (308km/h). The increased performance is achieved without detriment to the V8 engine’s class-leading fuel economy and CO2 emissions, or its ability to cover more than 500 miles (805 km) between fill-ups. The new GT V8 S coupe returns a combined cycle fuel economy of 26.8 mpg (10.6 l/100km) and CO2 emissions of 246 g/km. The equivalent figures for the convertible are 25.9 mpg (10.9 l/100km) and 254 g/km. This impressive combination of power, performance and economy is the result of an array of advanced technologies employed in the design of the Bentley V8 engine. Variable displacement, in which four of the eight cylinders shut down when cruising, reduces fuel consumption without any loss of refinement. When more power is required, the engine switches back automatically and seamlessly to the full eight cylinders. The high-technology V8 engine also features high pressure direct injection, low friction bearings, advanced thermal management, energy recuperation via the electrical charging system and innovative turbocharger packaging for greater efficiency. The V8 engine’s variable displacement system presented a unique challenge for Bentley exhaust engineers. When cruising on a light throttle in 4-cylinder mode, the exhaust system is tuned for refinement while maintaining a distinctive V8 sound. However, under acceleration the character of the system changes dramatically as the twin turbo-charged Bentley V8 transforms into an emotive growl. The power and performance of the GT V8 S models are complemented by a range of chassis enhancements which deliver greater agility and a more involving driving experience without compromising the Continental’s legendary ride comfort. The GT V8 S retains the aluminium double-wishbone front and trapezoidal multi-link rear self-levelling air suspension with continuous damping control that is common to all Continental models. For the GT V8 S, there is a more sporting setup with subtly different tunes for Coupe and Convertible. Lowered sports suspension (by 10 mm) is complemented by increased spring rates (45% front, 33% rear) and revised damping for a more engaging and responsive drive. Bush stiffnesses are increased by up to 70%, while the rear anti-roll bar is stiffened by 54% over the standard GT V8 models for improved body control and turn-in. A recalibrated steering system completes the new chassis system, offering both improved precision and feedback through changes to static toe and camber and new software. Careful recalibration of the Continuous Damping Control (CDC) system ensures minimal degradation in ride comfort despite the gains in handling performance. The Electronic Stability Control is also optimised for the GT V8 S. The retuned system allows increased wheel slip at higher speeds with engine torque reinstated more quickly after a system intervention. This provides the spirited driver more opportunity to exploit the full potential of the uprated chassis and increased power. The Lower Body Styling Specification - front splitter, side sills and rear diffuser - benefit aerodynamics by reducing front-end lift and provide greater stability at higher road speeds. Shared with all Continental models, the all-wheel drive system employs an advanced Torsen differential and a 40:60 rear-biased power split. This ensures the delivery of safe yet dynamic handling in all road conditions. While the elegant coachwork of the Continental GT is inspired by iconic Bentleys of the past, its modern, sculpted design, with crisp, highly defined feature lines, is formed using advanced body construction techniques, achieving class-leading standards of quality and body integrity. For the new ‘S models, the design of the Continental takes a more dramatic direction and its enhanced road presence is clear before a wheel is turned. The lowered suspension provides a more sleek and purposeful stance, complemented by unique, lower-body styling including a sharp front splitter, discrete side sills and subtle rear diffuser finished in Beluga gloss. The black gloss radiator grille with single chrome divider bar and ‘figure of eight’ exhaust tail pipes instantly signify the powerful V8 engine. The signature 20-inch wheels are unique to the ‘S’ models with an open-spoke design that reveals distinctive, red-painted brake calipers. Subtle ‘V8 S’ badges are applied to each front fender, and as with the other members of the Continental V8 family, the famous Bentley Wings badges feature a red centre. 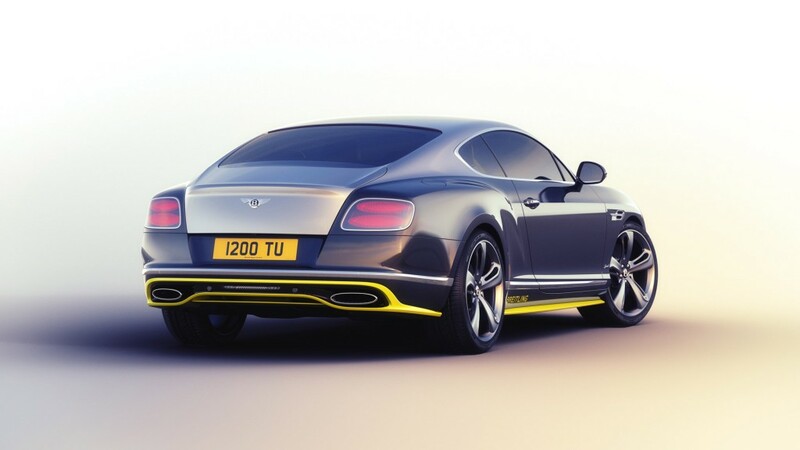 In common with the Continental GT W12, the GT V8 S models are available in the full palette of 17 paint colours, of which seven vibrant hues are specifically recommended by Bentley Design to match the sporting character of the new model. Of these, two shades (Kingfisher Blue and the new Monaco Yellow) are signature colours for the GT V8 S.
The cabin of the Continental GT is renowned for its supreme luxury with soft-touch leathers, wood veneers, polished metals and deep-pile carpeting, hand-crafted in Bentley’s unrivalled workshops at the factory in Crewe, England. The cabin of the ‘S’ models presents a thoroughly modern interpretation of Bentley luxury in which colour and tone offer further appeal to the senses. Available with a range of striking duo-tone interiors, customers may also select from the full range of seventeen hide colours. The GT V8 S coupe also features a unique contrast centre-stripe for the hide-trimmed roof lining, matched to the colour of the main hide. Contrast stitching throughout, including to the steering wheel, is also available as an option. Knurled chrome detailing to the gearshift lever and ventilation controls provide a perfect contrast to the Piano Black veneers which are sanded and lacquered up to 18 times to produce a truly flawless finish. Discreet ‘V8 S’ badges are displayed on each sill tread plate. As with all Continental models, the ‘S’ models include advanced infotainment technology as standard, including an 8-inch touchscreen which displays the car’s navigation, audio and telephone systems as well as the ride and comfort settings for the air suspension, all complemented by a 30GB on-board hard drive. Customers may tailor the specification of the GT V8 S by selecting from a range of optional equipment. The sports exhaust option features redesigned silencers, revised pipe architecture and re-tuned mountings which result in a free-breathing system that delivers a full-blooded V8 sound track. The optional Mulliner Driving Specification features 21-inch 7-spoke Black Edition wheels, drilled alloy foot pedals, a ‘jewel’ filler cap and a cabin trimmed in diamond-quilted, perforated leather with indented headlining. Other key options include Mulliner dark - tint front and rear lights and Beluga gloss door mirrors to match the Lower Body Styling Specification. 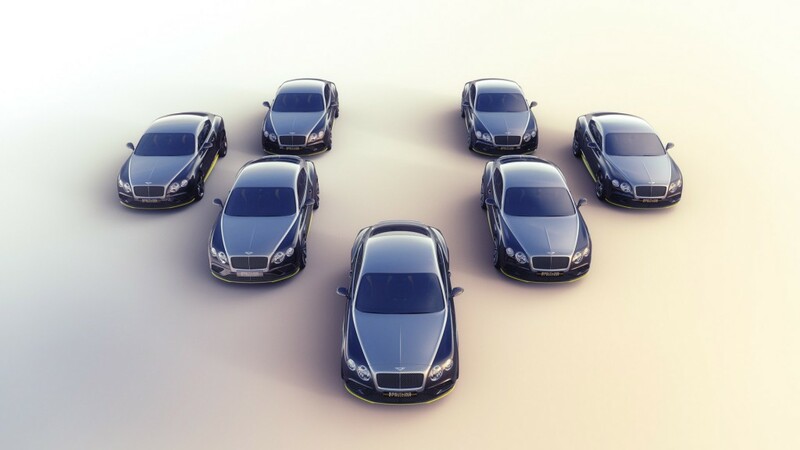 Deliveries of the new Continental V8 S start in early 2014. [sigh] I love the Bentley Continental. Well, yes, but they're still pretty fantastic cars. The capabilities of Bentley’s flagship Grand Tourer, the Continental GT Speed are cemented further in 2014 with enhancements to its supercar performance and unrivalled refinement. Bentley’s iconic 6.0-litre twin-turbo W12 engine has been pushed even further, now developing 635 PS (626 bhp / 467 kW) and a record 820 Nm of torque. The new Bentley GT Speed coupe reaches a top speed of 206 mph (331 km/h) – the fastest production Bentley ever – while the revised convertible can reach 203 mph (327 km/h). With its Speed chassis setup of a lowered and stiffened suspension, the most powerful car in the Continental family offers the most high performance and luxurious Grand Touring experience. The extra dynamic performance of the Continental flagship model is complemented by a more distinctive visual presence. The sharp front splitter, discrete side skirts and elegant rear diffuser are finished to match the exterior paint colour for the first time. The new GT Speed is given a more signature look through the use of a dark tint finish applied to the 21” Speed wheel design, headlamps and tail lamps. The exterior modifications are completed with red-painted brake callipers and a stylish chrome “Speed” badge fitted to the front fenders, while a new signature Speed paint colour of Candy Red is now available. The visual changes continue inside the cabin of the GT Speed, starting with a completely new colour split reserved exclusively for the Speed models. Starting with a dark monotone interior, accent stripes in a contrasting colour are applied across the doors, rear panels, fascia wings, inner console and gear lever. Matching contrasting stitching is then sewn to various aspects of the cabin, with a new cost option to continue contrast stitching through the diamond quilting of the seats and doors. Speed branding is also sewn to the front and rear headrests, while a subtle yet elegant chrome “Speed” badge adorns the passenger side fascia panel. They haven't significantly changed their design in (what seems like) quite a while, but it never seems to get old for me. Bentley announces the rarest and most dynamic member of the esteemed Continental family of Grand Tourers with the arrival of the new Continental GT3-R. It is inspired by the new Continental GT3 race car that stormed to victory at the second round of the Blancpain Endurance Series at Silverstone, the first UK race for Bentley for 84 years. Blending proven track and road credentials, the Continental GT3-R is a highly exclusive and unique interpretation of performance-focussed luxury, limited to just 300 examples. All 300 examples of the Continental GT3-R will be hand-built in Crewe and finished in Bentley’s Motorsport division. Complementing the revised powertrain is a further development of Bentley’s renowned all-wheel drive system, which now features torque vectoring for the first time. Together with modified Electronic Stability Control (ESC) and a chassis tune optimised for outright cornering ability, the Continental GT3‑R is the most dynamic, responsive and involving Bentley road car ever. For the GT3-R, Bentley’s powertrain division set about developing a special combination of engine, driveline and exhaust to create an evocative, powerful yet efficient system. Bentley’s popular and widely acclaimed 4.0-litre twin‑turbo V8 engine, now race proven by the Continental GT3, has been fitted with precision-honed high-boost turbochargers and developed with new engine control software to liberate 580 PS at 6,000 rpm and 700 Nm of torque from 1,700 rpm. This increased power is fed through the Continental’s eight-speed ZF automatic gearbox, now with shorter output gearing to enhance acceleration, to Bentley’s renowned all-wheel drive system. For the first time for a Bentley, the drivetrain has the ability to control the torque at each of the rear wheels through the use of torque vectoring. Recalibrated control software means that Drive and Sport modes are moved further apart, each with different characteristics and with Sport mode designed for more spirited driving. Maximum driver control is provided by completely recalibrated paddle shift functionality. A soundtrack appropriate to the new levels of performance is provided by an all-new titanium exhaust, which not only provides a weight saving of 7 kg but also has allowed Bentley’s acoustic engineers to give the GT3-R a unique baritone roar. To provide a dynamic capability unmatched in the Grand Touring sector, the GT3-R receives a chassis system focussed on performance whilst retaining a cossetting level of refinement for everyday use. Air springs and dampers use a development of the sports-tuned setup from the Continental V8 S, already recognised as the best-handling Bentley ever, while lightweight forged 21” wheels and high-grip Pirelli tyres deploy the torque-vectored power output of the engine. This combination, together with a sport-focussed Electronic Stability Control programme, offers a Continental with a new level of handling dynamics and turn-in agility, while both the chassis and powertrain respond immediately to throttle inputs. Deceleration is via Bentley’s record-holding Carbon Silicon Carbide (CSiC) braking system. 420 mm front discs are slowed by 8-piston calipers finished in eye-catching green paint, while 356 mm discs are fitted to the rear axle. With the ability to absorb up to 10 megajoules of energy (enough to power a family home for six hours) in a single stop yet remain fade resistant, Bentley’s CSiC brakes are an engineering masterpiece in their own right. All Bentleys are a combination of luxury and performance, and the Continental GT3-R is no exception. Featuring a unique two-seat cabin handcrafted from carbon fibre, Alcantara® and the finest leather, the GT3-R is as breathtaking in its approach to interior design as to its dynamic ability. The two-seat configuration includes a pair of new bespoke sporting seats with additional side support through deeper bolsters, including newly designed foam layers for comfort and finished in Beluga black leather with diamond-quilted Alcantara®. This exquisite material is also hand-trimmed to the steering wheel and gear shifter, while the centre console and fascia panels are handcrafted in carbon fibre. Carbon fibre is also used to create beautifully sculpted door casings that also include diamond-quilted Alcantara® inner panels. In place of the rear seats is a new uniquely trimmed rear cabin, complete with a carbon fibre surround and finished in leather and Alcantara®. Contrasting the Beluga leather and motorsport-inspired materials is a vivid accent green, used as a hide colour on the seats, instrument panel and door panels and in contrast stitching throughout the seats and diamond-quilted areas. GT3-R badging adorns the centre console, passenger-side fascia panel and sill treadplates, while the seats receive GT3-R stitching to the headrests in contrast-green thread. For the exterior of the GT3-R, Bentley’s Design team was tasked with creating a more purposeful stance than ever before. A new front splitter provides an assertive look to the front of the car, balanced by a new fixed rear wing fitted to the boot lid – both finished in exquisite carbon fibre. The bonnet incorporates two vents to improve the cooling capacity of the powertrain system for repeated accelerations while also invoking the shape of the Continental GT3 racer in a styling element where form follows function. The gloss carbon fibre contrasts with the Glacier White paint that all 300 cars will be finished in, and the inspiration of the Continental GT3 race car is highlighted by the use of two-tone green graphics that trace the two power lines to the side profile of the car – one leading backwards from the front wheel, the other tracing the shape of the Continental GT’s iconic rear haunch. Further inspiration from the Continental GT3 is reflected in the finishing touches to the exterior – the headlamp bezels, matrix grille, window surrounds and bumper strips – all finished in stylish gloss black. The visual appeal of the Continental GT3-R is completed by an all-new lightweight 21” wheel, machine-forged from high-strength alloy and finished in gloss black. Purchase of the car also includes free standard servicing for four years (at the 10,000, 20,000 and 30,000 mile marks). Order books for the Continental GT3-R are open now, with deliveries to start late in 2014. Bentley’s most dynamic road car in the company’s history, the Continental GT3-R, is heading to the Pebble Beach Concours d’Elegance this weekend, after which it will be racing into showrooms with a staggering $337,000 price tag. That might seem steep at first, especially considering its higher than the starting price of the Mulsanne flagship, but the Continental GT3-R is the fastest accelerating car the company has ever launched. And production of the Continental GT3-R is also extremely limited, with just 300 examples due to be built. Of these, only 99 examples are destined for the U.S., with another four destined for the Canadian market. Power comes from the same twin-turbocharged 4.0-liter V-8 common to the Continental GT V8, but here it delivers 572 horsepower and 518 pound-feet of torque. Working with a weight reduction of 220 pounds and an eight-speed transmission with shorter gearing, the engine will rocket the Bentley coupe from 0-60 mph in just 3.6 seconds. All Continental GT3-Rs will feature a Glacier White exterior, highlighted by the use of two-tone green graphics that trace the two prominent power lines to the side profile of the car. An aero kit with a carbon fiber finish is fitted to the exterior, along with some gloss black highlights and lightweight 21-inch wheels. If you’re interested, you had better call up your favorite Bentley dealer as the order books are now open. Deliveries are scheduled to start in the first quarter of 2015. Bentley Motors is building on the global demand for the Continental GT family with a suite of contemporary design updates and new exquisite features for its most successful model. Okay, I like the refresh, but could they have chosen three worse colors for the promotional shots?! Bentley has revealed one of its most exclusive collections in its almost century-long history, a seven-car run called the Breitling Jet Team Series and based on the latest Continental GT Speed. Why just seven cars? 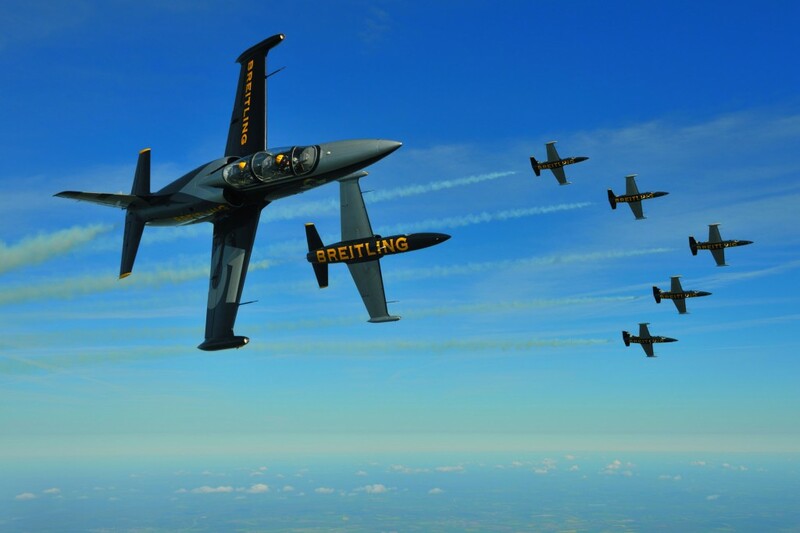 Because the series has been inspired by the Breitling Jets aerial acrobatics squad, which is made up of seven distinct L-39C Albatros aircraft. 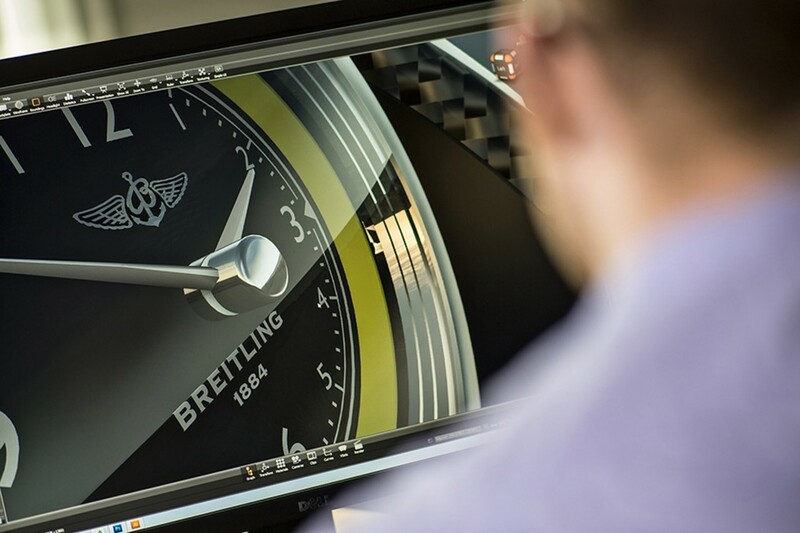 Renowned for their precision, speed and daring, this summer the Breitling Jets squad will be touring North America, and to mark the occasion Bentley’s Mulliner personalization division has re-imagined the Continental GT Speed to mirror the distinctive look of the Breitling Jets aircraft. For example, the exterior gets a two-tone finish that’s not unlike the one on the Albatros jets used by the Breitling Jets squad. And the yellow accents around the lower portions of the car, known as Breitling Yellow, reflect the trademark accents also found on the jets and the uniforms worn by the pilots. This bespoke colour theme is continued on the interior, with unique sculpted seats featuring the same yellow accents as found on the exterior. Each car is also individually numbered and corresponds to one of the seven Breitling Jets aircraft, and there is carbon fiber trim running the dash with a Breitling Jets logo featured on the passenger side. No changes have been made to the mechanicals, which means the car’s twin-turbocharged 6.0-liter W-12 is still delivering a generous 626 horsepower and 607 pound-feet of torque, the latter ready to roll at 1,700 rpm. That’s enough for 0-60 mph acceleration in 4.0 seconds and a top speed of 2016 mph. Bentley will show the Continental GT Speed Breitling Jet Team Series for the first time at the Boeing Seafair Air Show taking place in Seattle on July 31, where the Breitling Jets squad will be performing. The key for each car will be handed over to its owner by the corresponding plane’s pilot, but not until they have experienced a flight in the jet that inspired their car. That’s enough for 0-60 mph acceleration in 4.0 seconds and a top speed of 2016 mph. the car or the plane? 2016 car model... 206mph top speed. Too close. But actually the L-39 Albatros isn't that fast - only a top speed around 460mph. Engineers at Bentley in Crewe have developed even more muscle from the Continental’s iconic 6.0-litre twin-turbocharged W12 engine. The GT Speed now produces 642 PS - up from 635 PS - and 20 Nm of extra torque, bringing its total to a forceful 840 Nm. This additional torque is applied through the entire rev range via careful reoptimisation of boost control, raising the Grand Tourer’s renowned “torque plateau” of continuous maximum torque delivery from 2,000-5,000 rpm, and bringing even greater acceleration performance. As a result, the 0-60 mph sprint time has dropped to just 3.9 seconds (0-100 km/h in 4.1 secs). Bentley is also introducing the Continental GT Speed Black Edition which celebrates the rich and striking depth of the GT’s sporting character. Available as both coupe and convertible bodystyles, the customers’ choice of body colour is complimented by a high gloss black finish to the exterior brightware, including the window openings and lamp bezels. All-black 21” five-spoke directional wheels cover distinctive brake calipers, which can be specified in red or black finishes. Bentley is today announcing its fastest and most powerful production model to date: the new Bentley Continental Supersports. Enhancing the driver experience still further, the exhaust system has been redesigned to breathe more freely and provide an unmistakeable Bentley soundtrack, with down-shifts eliciting a rifle-fire crackle. This performance is matched by athletic handling. The Supersports has a specifically calibrated and updated version of the torque vectoring system first introduced on the Continental GT3-R.
For Supersports customers seeking even more personalisation, an ‘X Specification’ pack is available, consisting of eight unique duo-tone paint treatments and carbon-fibre door mirrors and heel plates. The titanium exhaust option is included, as is a carbon-fibre finish to the interior side panels, the carbon-fibre engine cover and a gloss black finish to the 21” forged wheels. Bentley Motorsport will return to Nürburgring 24 Hours for the third consecutive year this week as it aims for podium success with its three Continental GT3s. Working with European racing partners Bentley Team ABT, a division of well-known ABT Sportsline, Bentley is aiming for its strongest performance at the legendary “Green Hell”. To signal the team’s participation in one of the world’s greatest racing events, Bentley is unveiling the Continental 24 – a limited edition series of 24 bespoke models for Europe based on the Continental Supersports. Extensive preparations have been made for the race, in which cars from the top automotive manufacturers compete in gruelling conditions for one of the most sought-after accolades in motorsport. Bentley Team ABT has competed in three races at the Nürburgring in 2017, consistently performing well. In the second VLN race of the season, the team took Bentley’s highest ever result on the infamous Nordschleife with a second place finish, proving effective groundwork for the main event. With sights set on another Nürburgring podium, the Crewe-based Bentley Motorsport team will support the Bentley Team ABT entries. The three cars will all run on Yokohama tyres and the iconic Deutsche Post liveries of 2016 will be joined by a red-themed car of a similar design, sponsored by Magna. “Winning this race is the equivalent of holding up a World Cup trophy” commented Bentley’s Director of Motorsport, Brian Gush. “It confirms that you engineer and manufacture extremely durable and reliable cars that have precision handling and exceptional performance. “We know we have the car and engineering expertise to do well. We have pulled together the best individuals from across our teams in the UK and Germany and we are confident that, if all goes to plan, we can fight for a podium position. To mark Bentley’s participation in the ADAC Zurich 24-Hour Race at the Nürburgring, a limited edition series of “Continental 24” coupés has been commissioned specifically for the European market. Utilising the fastest Bentley ever - the 700 bhp, 1000 Nm Continental Supersports – as its foundation, the Continental 24 features a wealth of interior and exterior design cues that reflect the car’s motorsport themes. Taking inspiration from the paintwork of the Bentley Team ABT Continental GT3 race cars that will contest this year’s Nürburgring 24-hour race, the Continental 24 is available in a unique duotone paint combination of Monaco Yellow over Black Crystal. A second option of St James’ Red over Black Crystal provides an equally-striking alternative, while a single-tone exterior is available as a no-cost option. Black 21” lightweight forged wheels can be finished with yellow or red accents to match the paintwork. The sporting exterior look is finished with the fitment as standard of carbon fibre door mirrors, black brake calipers and all-black exterior brightware. The 6.0-litre twin-turbo W12 soundtrack is bolstered by the Supersports’ titanium exhaust system, while the engine itself is finished with a gloss carbon fibre cover. Performance figures for the Continental 24 are identical to those of the Supersports, with a top speed of 209 mph (336 km/h) and a 0-60 mph time of 3.4 seconds (0-100 km/h in 3.5 seconds). Bentley’s mighty W12 engine, redeveloped for the Supersports with new high-performance turbos and engine hardware, and a torque vectoring system create a Continental as agile as it is powerful. As well as offering supercar pace and a highly focused driving experience, there is no compromise in the refined nature of the Continental’s ride quality. Customer deliveries of the Continental 24 will begin in July 2017, with prices starting at €250,000. (Crewe, 29 August 2017) Bentley Motors is today announcing full details of its new Continental GT, the definitive Grand Tourer. Wolfgang Dürheimer, chairman and chief executive of Bentley Motors, said: “Bentley has been at the forefront of luxury Grand Touring for nearly one hundred years. The new, third-generation Continental GT is the pinnacle of our design and engineering achievements and marks the next step in Bentley’s journey. The exterior design of the new Continental GT is based on a bold new vision that is unmistakably Bentley. The all-new body and materials save more than 80 kg over the previous Continental W12 body. While the Continental GT retains the classic elegance that made its forebear so popular, the form of the new car is more sculptural and sharply defined and takes much of its inspiration from the critically acclaimed EXP 10 Speed 6 concept car. To allow for such a bold reimagining of the Continental GT, the aluminium skin has been crafted using Super Formed technology – a precision technique working with aluminium heated to 500°C which has previously been used on Bentley fenders. This method allows designers to invoke more complex, sharply defined body lines and a deeper, sculpted haunch muscle. The Continental GT is the first production car ever to have an entire body side made from the Super Formed process. The Continental GT’s profile is longer and lower due in part to the positioning of the front wheels 135 mm further forward, which in turn allows the bonnet to be extended and the nose to be lowered. However, the key signature lines of the original Continental still dominate, with the ‘power line’ travelling from the headlights to the muscular rear haunch. The rear of the car is a radical styling departure, with the taillights now shaped into ellipses, reflecting the silhouette of the exhaust tail pipes below them. The lighting on the Continental GT uses the latest LED Matrix technology, but it is the design of the head lamps that truly sets them apart. Inspired by the finest cut-crystal glasses, the internal surfaces are transparent with sharply defined edges that catch the light like a diamond. The new Continental GT has 21” wheels as standard, with two styles available, reflecting in turn the model’s elegant and sporting characters. A 22” lightweight, forged wheel is also offered, alongside a hand-finished option, which allows for a twisted polished finish. In another example of Bentley’s exacting attention to detail, and the unique way in which Bentley design often serves a dual engineering purpose, the elliptical exhausts have a complex perforated sleeve which adds visual detail but also reduces the exhaust temperature. The new Continental GT customer has a class-leading portfolio of 17 exterior paint colours to choose from – carefully selected to complement the character and lines of the car. In addition, a limited extended range of colours will be offered at launch, as well as the option of full bespoke colour-matching for Bentley customers. The interior of the new Continental GT showcases Bentley’s unrivalled expertise in the authentic use of materials, from the highest-quality natural leathers, to rare, sustainably sourced veneers – including Koa, Bentley’s newest veneer – and hand-polished chrome details. For the first time, unique dual-veneer options are offered. Over 10 square metres of wood are used in each Continental GT, and it takes nine hours to create and fit the wooden inlays by hand. The exquisitely styled dashboard of the new Continental GT is sculpted by long, flowing wings that mirror the shape of the Bentley badge. A floating leather top flows seamlessly to the doors. The centre console is finished to match the lower fascia, but can be specified in a new technical finish that is inspired by the delicate mechanical surfacing inside the finest automatic Swiss watches, known as Côtes de Genève. 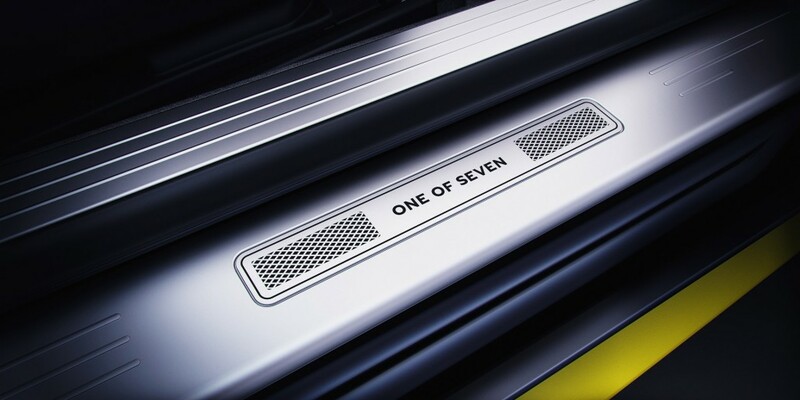 This surface – a first in the automotive world – is machined onto 0.6 mm-thick aluminium and is created by machining from side to side to create a linear pattern. Each row is 5 mm wide and machined at an angle to give a truly three-dimensional finish, with each pass of the machine making a minute step of 0.5 mm. New types of luxurious haptic finishes adorn the interior of the Continental GT for greater sensory, as well as visual, enjoyment. In some areas, pillow knurling replaces the traditional mechanical knurling, for a softer, more refined feel on switches and controls, while diamond knurling adds a luxurious touch using a detailed three-dimensional faceted surface. The new knurling design is available on the iconic Bullseye vents, bezels and other primary control rotaries, and not only gives a finely faceted visual impact but provides a precise technical feel when operating the controls. Another hidden delight is the addition of bronze inserts between surfaces on the primary controls, which adds a level of fine detailing never seen before. The 20-way adjustable seats in the new Continental GT set new industry standards in comfort and refinement. Smooth centre panels allow maximum efficiency for the cooling, heating and massage functions, while the bolsters retain the signature Bentley quilting. A new, unique quilt is also available: called a ‘diamond in diamond’ quilt, the effect is of a floating quilted surface in a sea of leather, which is extraordinarily soft to touch. The new interior pattern features both stitching and embroidery. The inner diamonds are embroidered, using a specially-designed machine that balances high speed with quality. Eighteen months were spent developing the embroidery, individually optimising and programming the exact alignment of each one of the 712 stitches that make up each diamond shape – an unrivalled attention to detail. A choice of three audio systems is offered in the new Continental GT. The standard system features 10 speakers and 650 Watts, while a Bang & Olufsen 1,500 W, 16-speaker system with illuminated speaker grilles is aimed at lifestyle-oriented customers. The new Bang & Olufsen installation benefits from the first automotive application of the BeoSonic system – a new way for tone setting with a simple, intuitive one-touch user interface. In order to ensure optimal audio enjoyment, laminated acoustic glass is used for the windscreen and side windows, resulting in a nine-decibel reduction in exterior noise ingress versus the outgoing model. Behind the wheel, the technological advancements in the new Continental GT are striking. The driver-orientated instrument panel is now fully digital and configurable by the driver. While the main dials appear to be real, they are in fact digital graphics designed to look three-dimensional. This display can show information from across the infotainment system including satellite-navigation information. 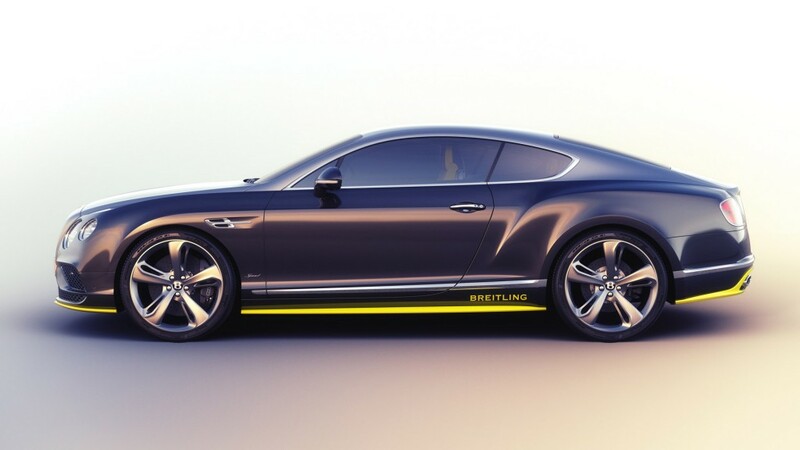 The Continental GT features the innovative and industry-first Bentley Rotating Display. At first glance there appears to be no screen in the centre of the dashboard. Instead, the veneer flows uninterrupted across the dashboard, while a thin chrome bezel behind the steering wheel surrounds a digital instrument display. When the engine start button is pressed, however, the veneer in the middle of the dashboard glides silently forward and rotates to reveal Bentley’s largest-ever touchscreen, a 12.3” retina-quality digital MMI display, elegantly designed by Bentley with a customer-configurable home screen with three windows able to display the driver’s preferred functions, for example, navigation, media and telephone. The user interface is designed to be akin to a modern mobile phone and menus are structured to be instantly intuitive. Customer journeys are streamlined with features designed to improve navigation. Google point of interest search makes finding unusual destinations simple, while real time traffic information keeps the driver informed of current length or changes in congestion. In emergency situations, Private eCall provides instant access to emergency services for ultimate peace of mind when travelling. The new Continental GT is offered at launch with an enhanced version of Bentley’s peerless 6.0-litre, W12 TSI engine that sets a new benchmark in performance. Designed, developed and handbuilt in Crewe, the W12 TSI engine is the most advanced 12-cylinder engine in the world. The unique ‘W’ configuration means that the engine is 24 per cent shorter than an equivalent V12, benefitting weight distribution and maximising usable cabin space. The new powertrain uses the very latest engine management technology, with 300 million software calculations per second. It produces 635 PS (626 bhp) and 900 Nm (664 lb.ft.) of torque, and accelerates the new Continental GT to 100 km/h in 3.7 seconds (0-60 mph in 3.6 seconds), and on to a top speed of 333 km/h (207 mph)*. A dedicated Sport Launch mode delivers maximum acceleration through careful clutch pressure sensing and pre-loading when a race-style start is required by the driver. The W12 TSI combines high-pressure direct fuel injection with low-pressure injection. The combination of these two systems maximises refinement, lowers particulate emissions and optimises power and torque delivery. At 278 g/km CO2 (a 16 per cent improvement over the previous Continental GT), the engine also meets Phase 2 of Euro 6 and US ULEV 125 (LEV3) emissions targets. The dual-clutch eight-speed transmission provides smooth acceleration, and impressively quick gearshifts, both hallmarks of the Continental GT’s dynamic character, as well as improved combined fuel economy (23.2 mpg or 12.2 L/100 km versus the previous model’s 19.9 mpg or 14.2 L/100 km). Shift times are variable and depend on the selected driving mode. In Sport mode, shifts are seemingly instantaneous to deliver uninterrupted torque delivery and maximum acceleration performance. In Comfort mode, shifts are deliberately relaxed to allow for a seamless and imperceptible gear change. Maximum speed is reached in seventh gear, with eighth gear acting as an overdrive gear for relaxed cruising. A new Active All-Wheel-Drive System replaces the traditional 40:60 power delivery split between front and rear wheels respectively, instead varying the front-to-rear torque split dependent upon the driving situation. The vehicle will use rear-wheel drive as much as possible during normal driving for optimum efficiency and dynamic performance. Based on the conditions and the driver’s behaviour, the system will send drive to the front axle as required. This reduces the understeer effect from fixed all-wheel drive, as well as increasing driver engagement for those who revel in the dynamic attributes of the Continental GT. The third generation of Continental GT features Bentley Dynamic Ride, an advanced 48-volt roll control system for unrivalled car control. The system controls and adjusts the electronic actuators on the anti-roll bar of each axle and so improves handling and ride comfort, as well as making the car feel lighter and more precise. While conventional anti-roll bars present a compromise between body control and ride comfort, Bentley’s active system provides variable torsional resistance, allowing the Continental GT to be both dynamically capable and comfortable for all occupants at all times. The use of a 48-volt system results in silent, instantaneous responses and sufficient power on hand to deal with all road surfaces. The air suspension on the new Continental GT is revised and uses three-chamber air springs which give the car 60 per cent more air volume in the softest setting than the previous model. This allowed Bentley’s engineers more scope for tuning the suspension to improve the ride comfort and dynamic character of the car. The system offers the scope to vary from sporting spring stiffness to luxury limousine refinement depending upon which mode the driver has selected. Electric Power-Assisted Steering (EPAS) is also featured on the Continental GT. The new system improves feedback to the driver, while providing isolation from unwanted road disturbances. The steering system features a variable rack ratio, allowing increased response with higher steering angles to aid manoeuverability whilst maintaining excellent stability at high speeds. The introduction of EPAS also allows the Continental GT to be offered with a wide range of Driver Assistance features including Active Lane Assist, Traffic Jam Assist and Park Assist. The brakes, as always on the Continental GT, are bigger on the front axle, with a 15 mm increase in size to 420 mm to match the increased performance. The exhaust tail pipes have also been revised, and now have an adaptive valve for greater tuning potential. The all-new Continental GT redefines personalisation and bespoke luxury. Paint, leather, veneer and lifestyle options are virtually unlimited and tailored to the individual. The standard palette alone comprises 17 exterior paint colours, with up to 70 hues available in the extended range. There are also 15 luxurious carpet options, eight different handcrafted veneers (with a further four dual-veneer options) and 15 choices of interior trim hide, which means that customers are able to specify their own choice of luxury finish. Two technology option packs are offered at launch: City Specification for urban journeys and the Touring Specification for long-distance driving, both curated to optimise the customer experience. City Specification includes hands-free boot opening, pedestrian warning, traffic-sign recognition and city braking systems as well as a top-view camera. The Touring Specification pack, meanwhile, offers adaptive cruise control with traffic-jam assist, active lane assist, a heads-up display, night vision with an infrared camera, and pre-sense braking. As with all Bentleys, the Continental GT can also be handed over to the highly skilled and dedicated craftspeople at Mulliner, Bentley’s personal commissioning division, who will respond to bespoke customer requirements. Bentley’s highly skilled engineers have put the new Continental GT through the extraordinary rigours of extreme hot and cold weather testing – as well as durability tests – around the globe to ensure the new Grand Tourer triumphs in all driving conditions, covering nearly one million kilometres. A demanding and thorough development drive programme put the new Continental GT through cold-climate testing in polar areas, hot-weather testing in America and durability testing on the grueling roads in South Africa; as well as tests in the Middle East, China and Europe. A team of expert Bentley development engineers led the testing in Sweden for serious sub-zero driving on frozen lakes and in snow. In America, testing also took place in the below sea-level ‘oven’ of Death Valley with temperatures approaching 50 degrees Celsius for a trial covering thousands of kilometres. Since 2003 more than 66,000 Bentley Continental GTs have been handcrafted in the factory in Crewe, England. Over that period the style, technology and engineering behind the car have been constantly evolving, and the vehicles produced in Crewe have become ever more efficient. Similarly, the production techniques utilised in Crewe have become significantly more efficient over that time. The all-new Continental GT is being produced in a factory where up to 40 per cent of the electricity needs are met by 20,815 solar panels covering over 34,500 square metres of factory roof space. The installation was the largest of its kind in the UK when first put in place. The solar panels provide a capacity of 5.1 megawatts and contribute to a CO2 reduction of 2,500 tonnes per year. Following significant reductions in key environmental areas, Bentley has become the first UK automotive manufacturer to be awarded the Carbon Trust Standards for carbon, water and waste respectively. The Crewe headquarters was the first UK automotive plant to achieve the internationally recognised ISO 14001 environmental and ISO 50001 energy management standards. Bentley’s desire to offer customers the very best cars in the world – with unsurpassed levels of luxury and performance – goes hand-in-hand with a determination to enhance significantly fuel economy, reduce emissions and develop highly advanced, sustainable drive technologies for the future.